New research just unveiled by the University of Pennsylvania indicates that hepatitis C is one of the nation's most grievous and intensifying health disparities. Based on data collected in four states, the study found that nearly half of Medicaid recipients are being denied access to a cure for hepatitis C, and left to progress to end-stage - often irreversible - liver disease before they can receive life-saving treatment. More deadly and 10 times more infectious than HIV/AIDS, hepatitis C is a leading cause of liver failure and liver cancer--the fastest-rising cause of all cancer-related deaths, with more than 3.2 million Americans estimated to be living with the virus. Until recently, hepatitis C treatments were largely ineffective at managing the disease, and caused debilitating - and sometimes even fatal - side effects that left many patients hopeless in the fight against this silent killer. Thanks to innovative treatments that offer cure rates of near 100 percent with minimal side effects, hepatitis C patients now have an unprecedented chance to live virus-free, and avoid liver failure, cancer-causing cirrhosis, liver transplants and other health impacts. But rather than embrace groundbreaking treatments for the nation's deadliest blood-borne virus, most state Medicaid programs are turning their backs on patients by enacting discriminatory restrictions for patients seeking to be cured. In fact, researchled by the Center for Health Law and Policy at Harvard Law School found that 42 state Medicaid programs with stringent limitations on who can access a cure could be violating federal Medicaid law, which requires states to cover drugs consistent with their FDA labels. The situation has gotten so bleak that the U.S. Centers for Medicare and Medicaid Services (CMS) recently recognized the problem and issued a letter advising states against unreasonable restrictions on hepatitis C treatments. CMS warned that hepatitis C treatment restrictions should not result in the denial of access to "effective, clinically-appropriate, and medically-necessary treatments" for Medicaid recipients, and urged states to carefully monitor hepatitis C drug-coverage policies of their Medicaid Managed Care Programs (MCOs) to ensure all enrollees have appropriate access to treatment. But without action at the state level, Medicaid recipients won't see a change in treatment access. Curing hepatitis C is not only the right thing to do - increasing evidence suggests that treating the virus early is also the most cost-effective approach. New research from Avalere Health finds that the true calculated value of hepatitis C treatments to payers is likely even greater than previously thought, due to the growing number of hepatitis C treatments entering into the marketplace and other pricing offsets, such as discounts and rebates. Early treatment is also the preferred course of action in the medical community. Two of the nation's leading medical authorities on hepatitis C, the American Association for the Study of Liver Diseases (AASLD) and the Infectious Diseases Society of America (IDSA), recently issued updated joint guidance underscoring the need to treat all hepatitis C patients as promptly as possible to prevent disease progression and transmission. Researchers, CMS leadership and medical authorities are all aligned on the need to promptly cure hepatitis C and eliminate one of the nation's most short-sighted insurance barriers. It is now up to state Medicaid programs to uphold their commitment to help our nation's most vulnerable populations. They need to start helping patients fight hepatitis C, not make them wait until they are potentially too sick to ever fully recover. Ryan Clary is the executive director of the National Viral Hepatitis Roundtable (NVHR), an organization dedicated to ending the hepatitis B and C epidemics. ​Recently Mark S. Sulkowski, MD, of the John Hopkins University School of Medicine, in Baltimore, saw a teenage patient who had contracted hepatitis C after starting to shoot up as a 12-year-old. Although mother-to-child transmission remains the primary source of HCV infection for children, injection drug use is a common source of infection for adolescents (Clin Liver Dis 2014;5:14-16). Managing young patients is challenging for clinicians, who may not be accustomed to treating pediatric patients and who have little data to guide their treatment decisions. “This is a patient population for whom data is lacking,” Dr. Sulkowski said. Dr. Sulkowski said there was a nine-year gap between the publication of the first clinical trials of pegylated interferon and ribavirin in adults and similar studies in children (N Engl J Med 2002;347:975-982; Gastroenterology 2011;140:450-458). As a result, investigators were uncertain of a safe dose and whether the medications would affect growth or pose other risks to children, he said. However, eventually results suggested that the combination also worked in children. Clinical trials of the protease inhibitors telaprevir (Incivek, Vertex) and boceprevir (Victrelis, Merck) were abandoned in children when data on the use of newer direct-acting antiviral agents in adults indicated that these drugs might provide effective and less toxic options for young patients. Studies of direct-acting antiviral agents are underway in pediatric populations, but none has been published so far, said Maureen Jonas, MD, clinical director of the Center for Childhood Liver Disease at Boston Children’s Hospital. Pediatric trials are more complicated because appropriate doses for children of different ages and sizes must be determined, Dr. Jonas said. Children also may be unable to swallow large pills, requiring a different means of administration. So far, Dr. Jonas said there is no reason to believe that children will not experience cure rates above 90% with 12 weeks of direct-acting antivirals, as do adults. That prospect makes the currently available drugs, which may require a yearlong regimen and only cure about half of patients, an unappealing option for pediatric patients, she said. Hepatitis C, the most common blood-borne virus in the U.S. is now curable, and has been making headlines recently. With interesting presentations at the 2015 Liver Meeting of the American Association for the Study of Liver Diseases (AASLD), new hep C drugs on the horizon, the strengthening of AASLD's HCV Guidelines, and the forcible stand on hepatitis C treatment taken by the Centers for Medicare and Medicaid, I am giddy with hope. However, a critical article by Brian Edlin and colleagues in November's Hepatology was a chilly reminder that we have a big problem on our hands. "Toward a More Accurate Estimate of the Prevalence of Hepatitis C in the United States" is old news to Edlin and other advocates and researchers who have been vocal about the underestimation of the prevalence of hepatitis C in the U.S.. To those who don't know the back story on this, I'll begin with a quick summary. Estimates of the prevalence of chronic hepatitis C infection in the U.S., rely on data gathered from the latest National Health and Nutrition Examination Survey (NHANES). The purpose of the NHANES is to survey the health of the U.S. adult and child population. Using questionnaires, lab tests and physical exams, NHANES tracks diseases, health risks, and the relationship between diet and health. However, the sample size of the NHANES is not the problem. The bigger issue is that NHANES is a civilian household survey and does not count people who are in the military, homeless, in temporary housing, incarcerated, hospitalized, or institutionalized. It does not include people who live on Indian reservations or in a U.S. territory such as Puerto Rico. NHANES does not survey those who don't want to be documented or reveal their HCV status. In short, the NHANES doesn't include a portion of the population where the hepatitis C prevalence is higher than average. 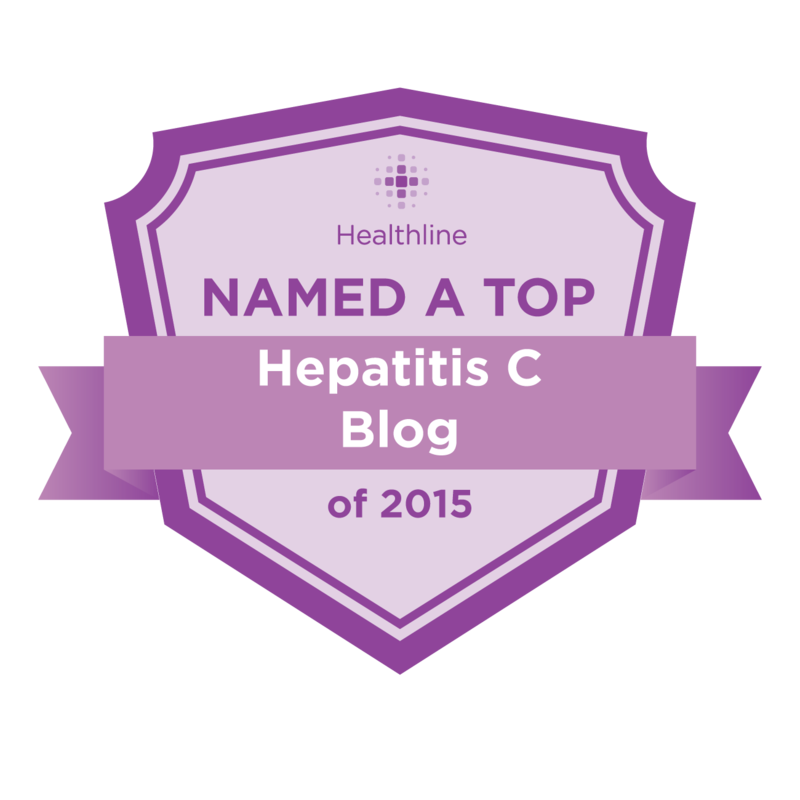 For years, Edlin and others have been saying that the NHANES data underestimate hepatitis C prevalence. Rather than the 3.6 million people in the U.S, who are hep C-antibody positive and 2.7 million who are infected, Edlin et al. estimate that there are 4.6 million hep C-antibody positive people in the U.S. with 3.5 million infections. This estimate is conservative; Edlin makes the convincing argument that the true prevalence of hepatitis C may be between 5 and 7 million. This higher estimate is supported by others, including research published by Eric Chak and colleagues ("Hepatitis C Virus Infection in USA: An Estimate of True Prevalence," Liver International September 2011). We can't eradicate hep C if we don't know the size and scope of the problem. Edlin and his associates help us define the problem. It's discouraging to realize that there are many more people with hepatitis C than we thought, but solutions are better found when they are based on facts rather than fiction. Now that we know the truth, we can roll up our sleeves and figure out how we are going to stamp out this preventable and curable disease.